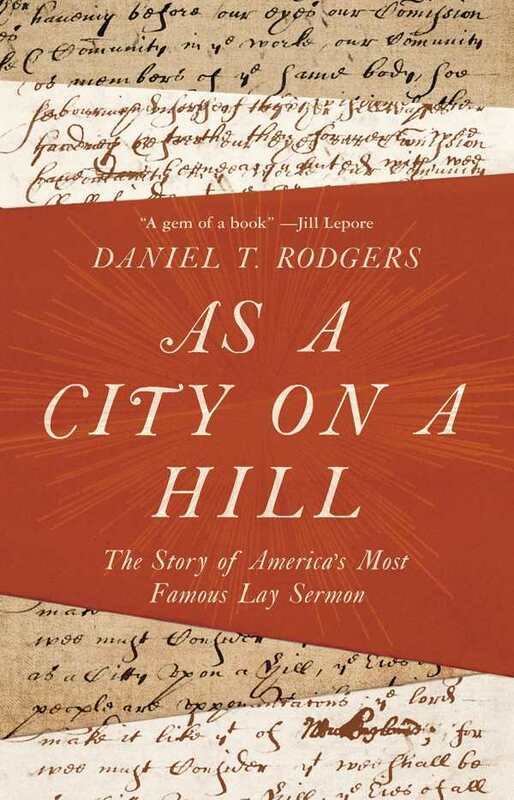 Daniel T. Rodgers eloquently decodes four centuries of Western history in As a City on a Hill, in which myths and meanings of Massachusetts Bay Colony governor John Winthrop’s 1630 “A Model of Christian Charity” are elegantly unraveled. Rodgers examines the zealous overuse and misinterpretation of this document by scores of political and religious leaders in America and other modern states. He first explores the phrase “we shall be as a city upon a hill” as seventeenth-century Puritans would have understood it: as a stern reminder of community responsibilities in a vulnerable outpost where divine wrath was as likely an outcome as good fortune. Winthrop was cautioning his flock that God’s scrutiny was omnipresent, and the rest of his address (appended therein) exhorts charity and social unity (“we must delight in each other”). While the city on a hill image was later plucked out and reinterpreted to bolster manifest destiny, nationalism, imperialism, and American exceptionalism, Rodgers scathingly notes that Winthrop would have frowned on such hubris and wondered where his messages of love and charity went. Erudite, clearly articulated prose arcs through a sweep of historical eras and ideological movements. Rodgers traces the course of this “antiquarian oddity” as it is “resurrected” first by nineteenth-century historians, then by New England cultural and political elites seeking to bolster regional importance in America’s founding. Rodgers traces a fascinating analysis of how Winthrop’s words were used to justify a number of historical events, from the 1847 founding of Liberia to the carving up of defeated empires after World War I to its apotheosis in Ronald Reagan’s sunny, effective political campaign. Discussion of why the document does not resonate with evangelical Christians and the Trump White House is absorbing and timely.